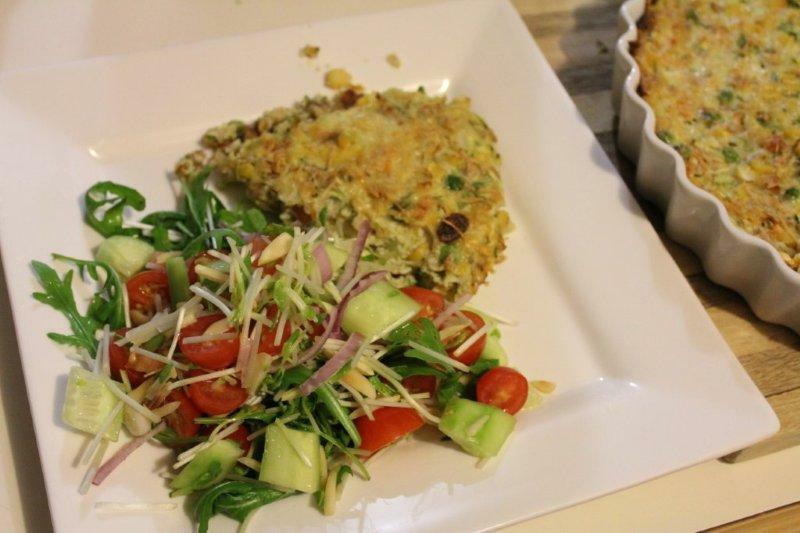 This baked dish is generous in potion size and is lovely with a side salad. Add lemon juice to keep the colories low. Beat eggs with salt & pepper, add flour & beat in. Add muesli & other ingredients & mix well with a wooden spoon. Spronkle with parmesan.